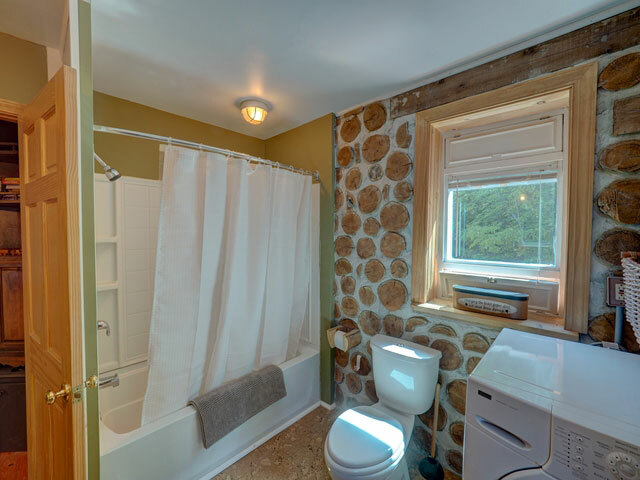 For those who crave privacy, this is the place for you. 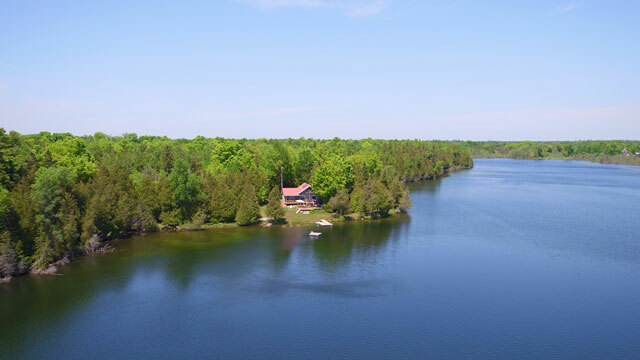 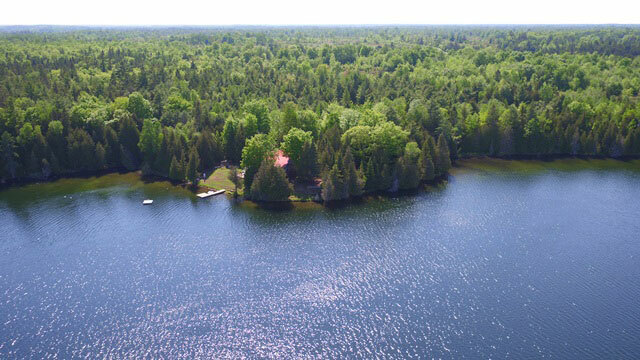 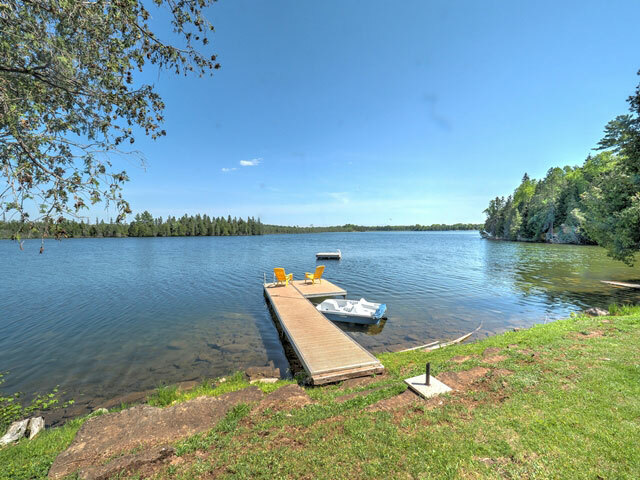 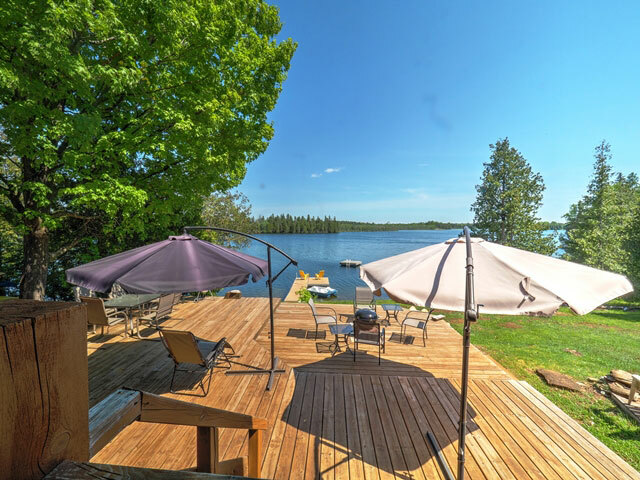 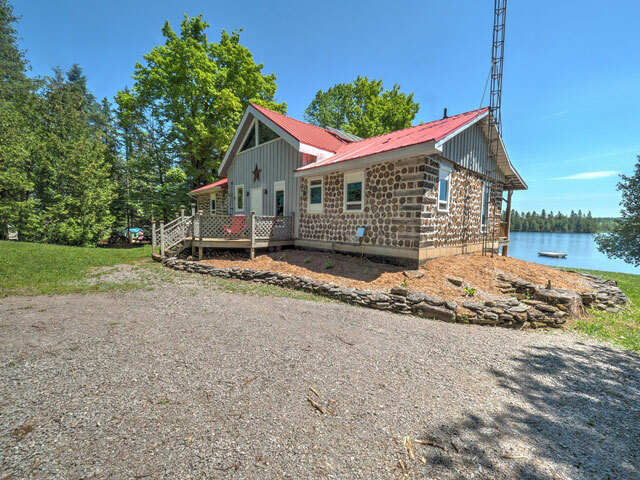 Almost 1,200 feet of waterfront on Duck Lake (6 km south-east of Head Lake). 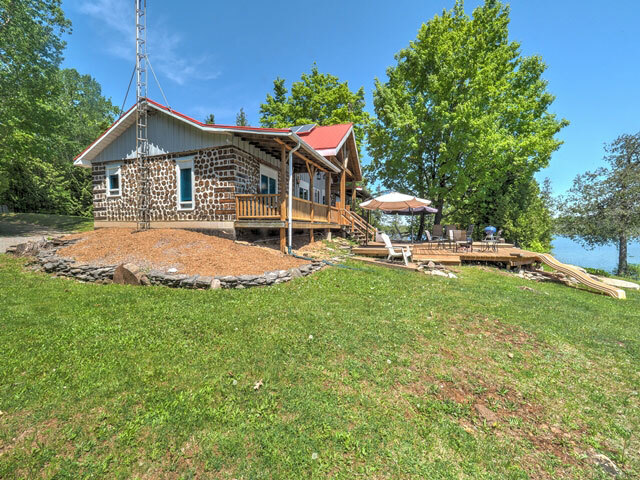 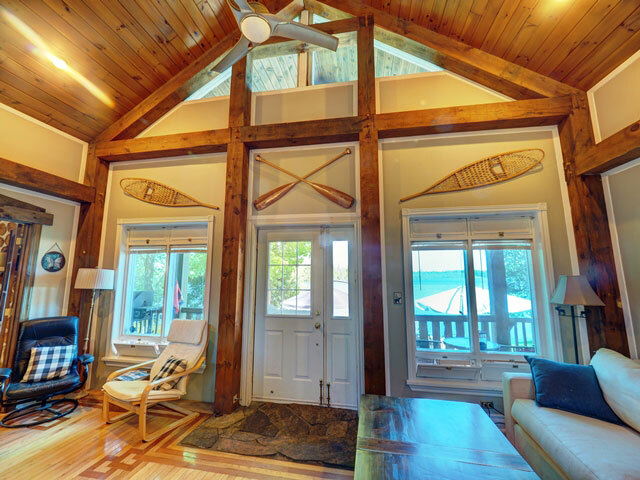 The property is located on a point on the west shore, with no other cottages in sight. 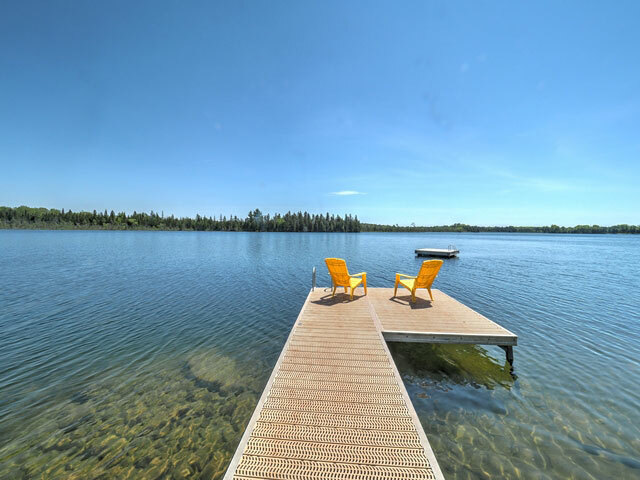 Very high-quality waterfront with 8’ of weed-free depth off the dock, and deeper off the swimming platform. 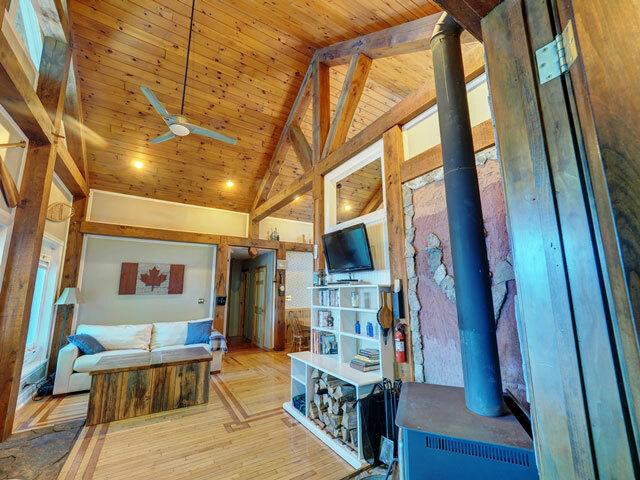 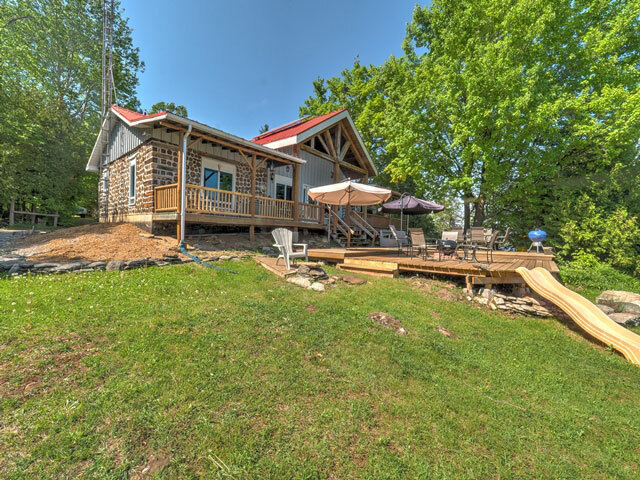 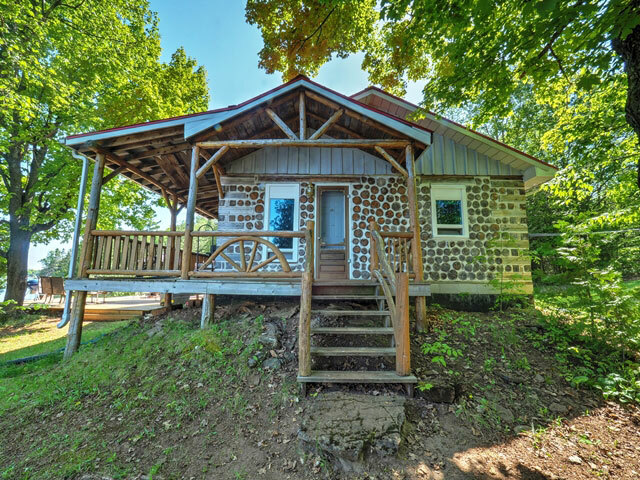 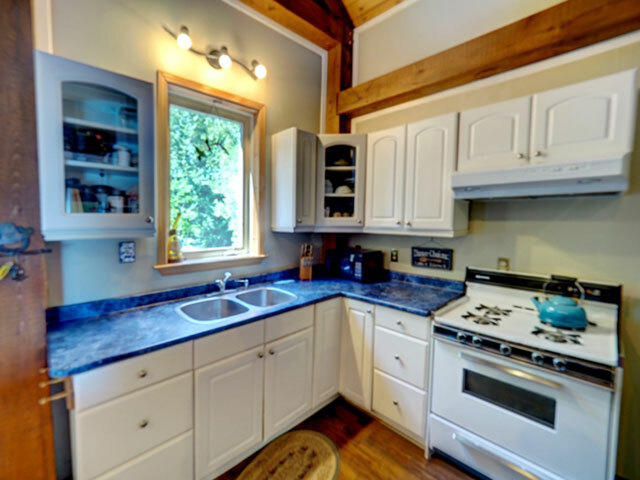 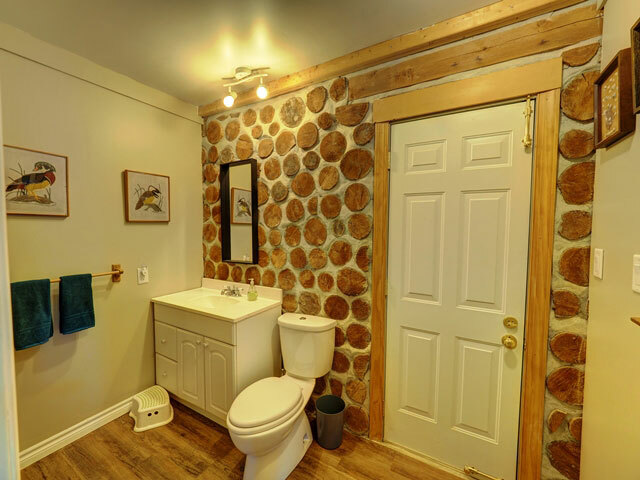 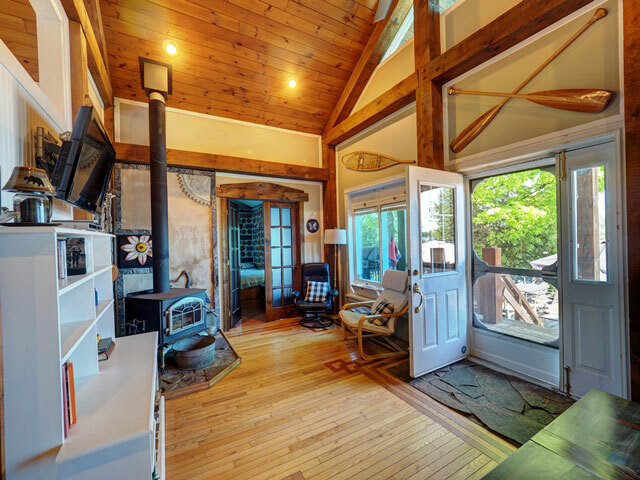 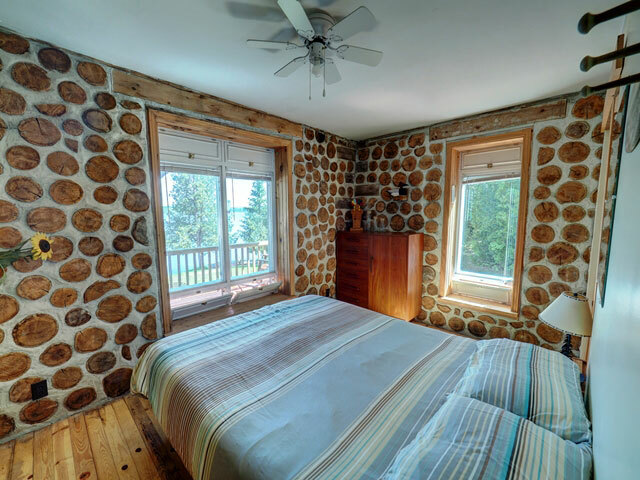 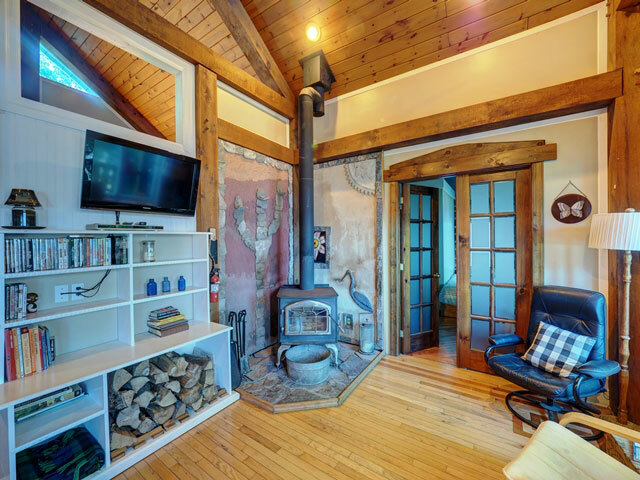 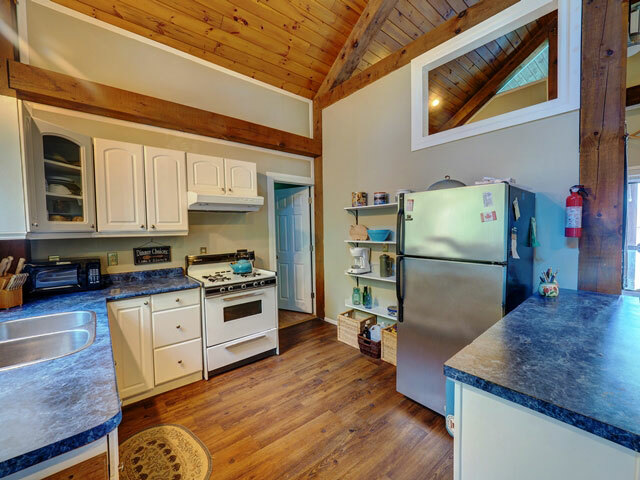 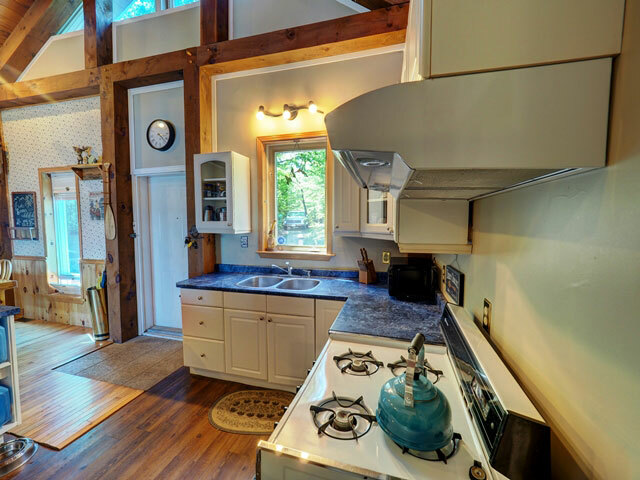 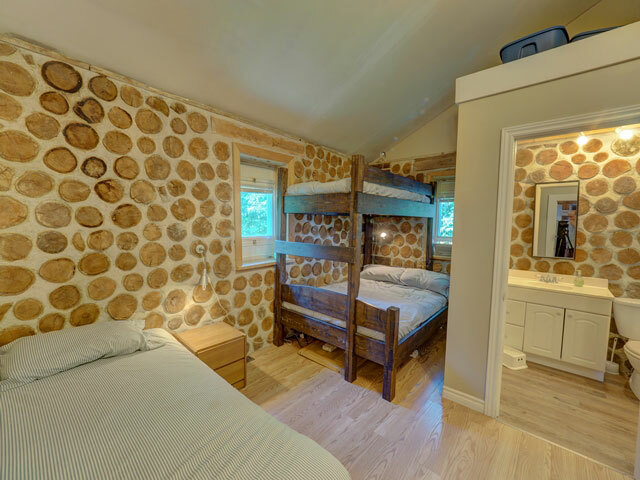 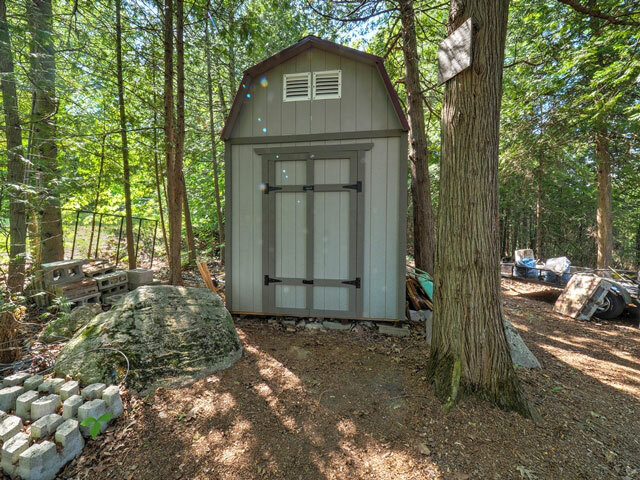 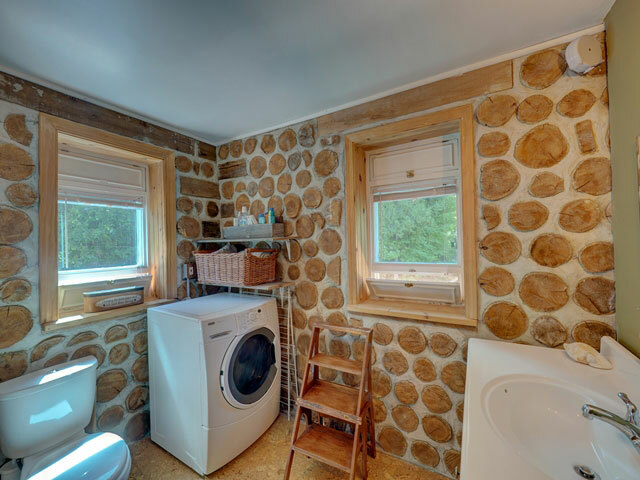 The three-bedroom/two-bathroom cottage is of cordwood construction (16” thick walls) and has been designed to be cool and breezy during the summer months. 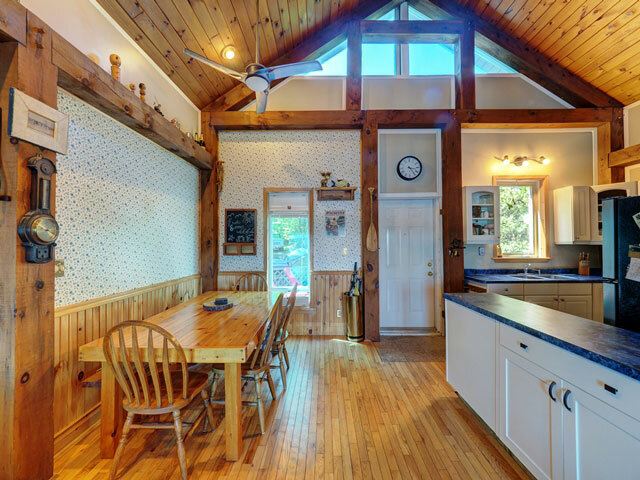 The beautiful beamed, cathedral ceilings enhance the spaciousness of the main living areas. 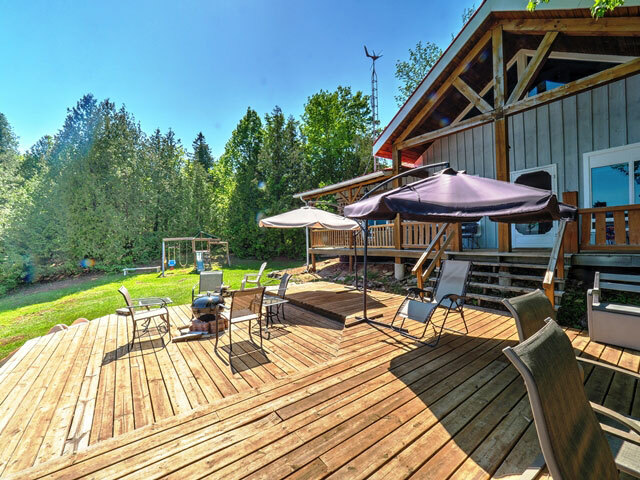 The large deck and open green space in front are ideal for outdoor entertaining and children. 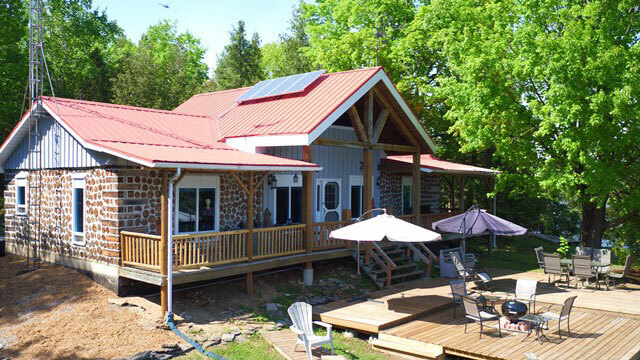 Enjoy the freedom and cost-savings of the Off-the-Grid systems, with solar panels and back-up generator providing electricity, and propane-powered stove and hot water tank. 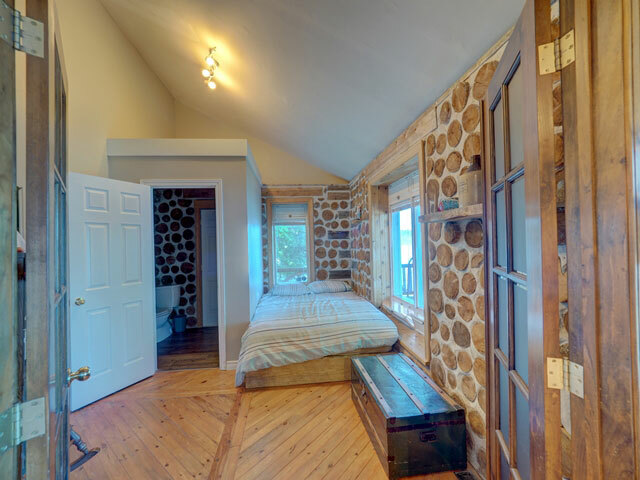 This is a uniquely tranquil and well-designed getaway within a two-hour drive of the GTA.